WorldMovieStore - Independence Day Sinopsis. On July 2nd, communications systems worldwide are sent into chaos by a strange atmospheric interference. On July 3rd, the aliens all but obliterate New York, Los Angeles, and Washington. The survivors devise a plan to fight back against the enslaving aliens, and July 4th becomes the day humanity will fight for its freedom. The aliens are coming and their goal is to invade and destroy. Fighting superior technology, Man's best weapon is the will to survive. Read More Sinopsis. 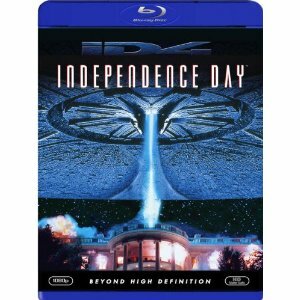 0 Response to "Blu-ray Release Independence Day"